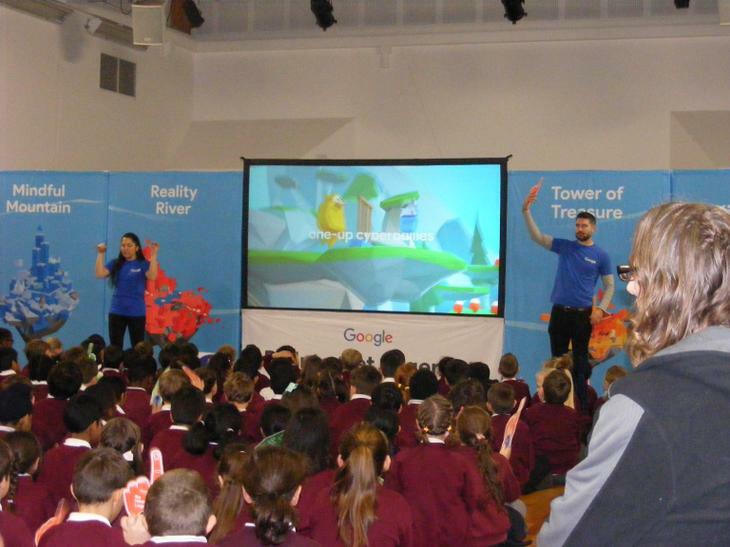 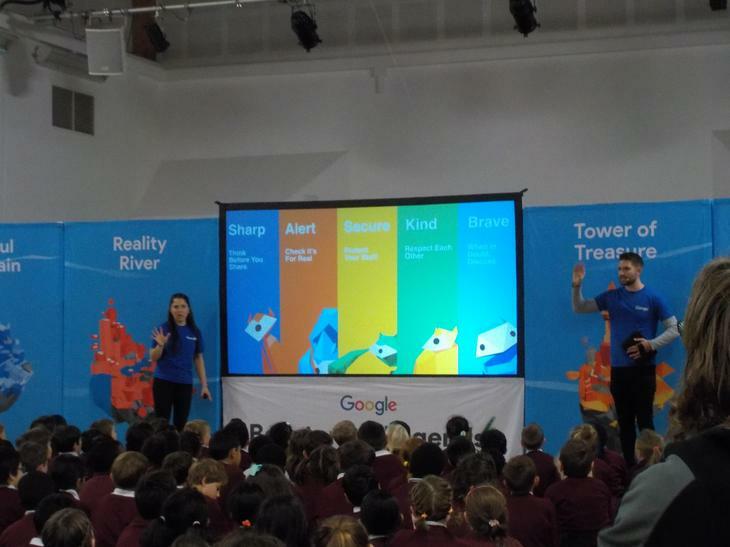 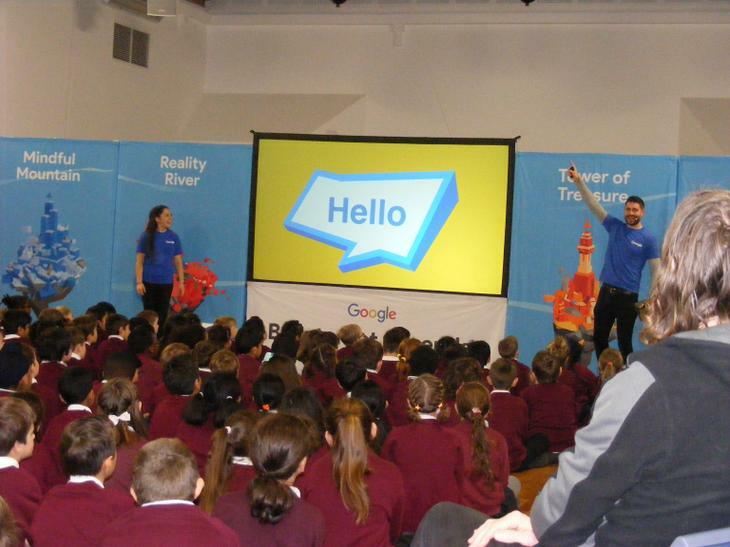 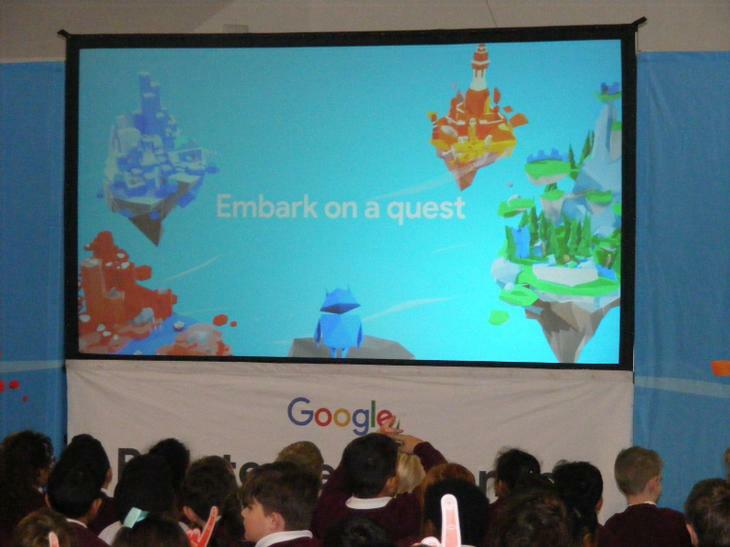 On Tuesday 4th December, Daniel and Katy from Google dropped into Whitings Hill to talk to Key Stage 2 about staying safe online. 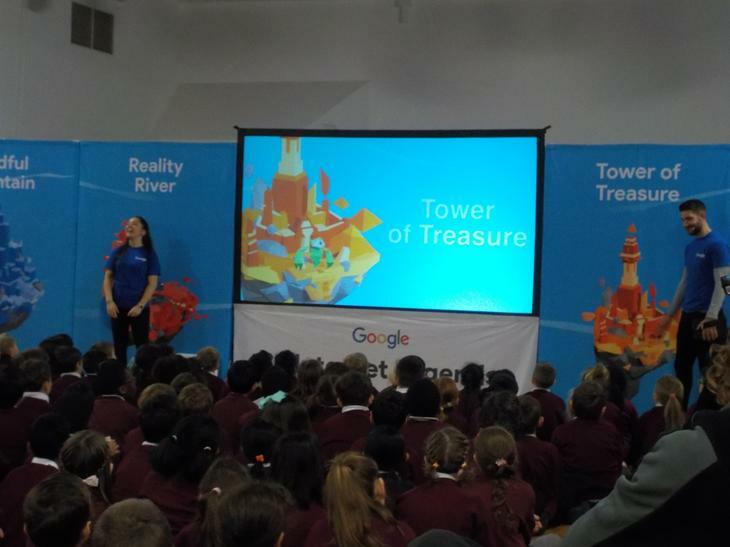 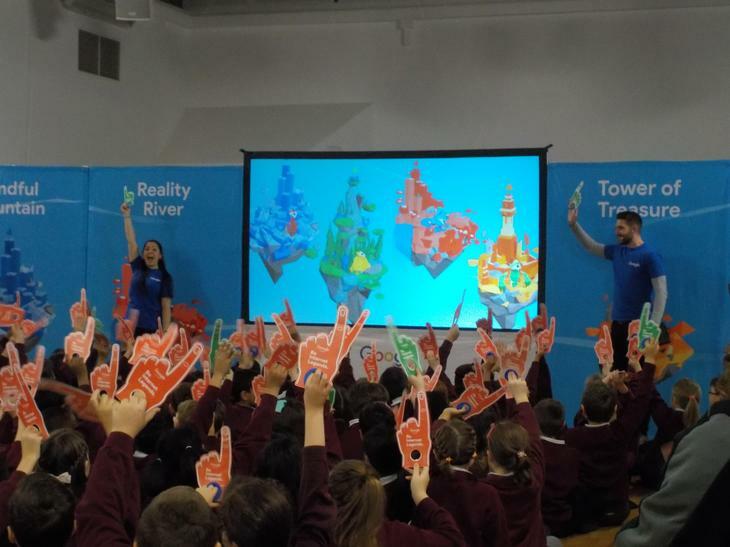 They introduced the children to the fictional online worlds of Mindful Mountain, Reality River, Tower of Treasure and Kind Kingdom to demonstrate, among other things, the importance of being aware of other people's feelings, keeping their personal information private and how to spot an online scam. 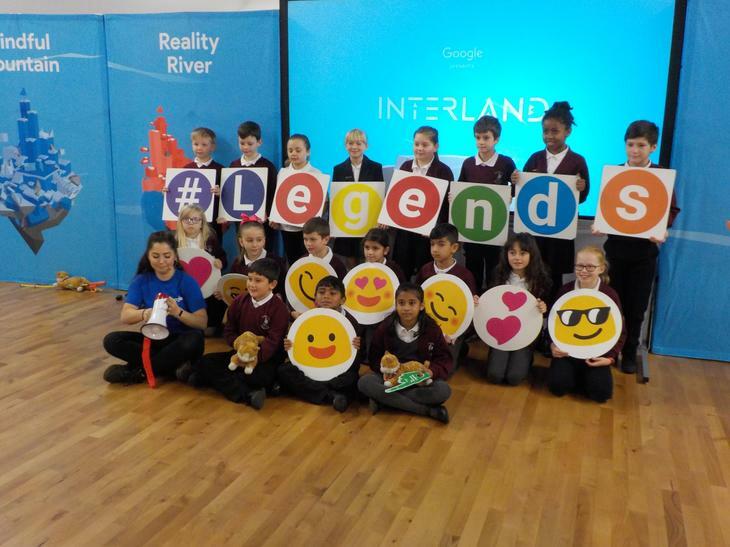 The children also learnt the slogan - Sharp, Alert, Secure, Kind, Brave to remind them of the important lessons contained in the presentation. 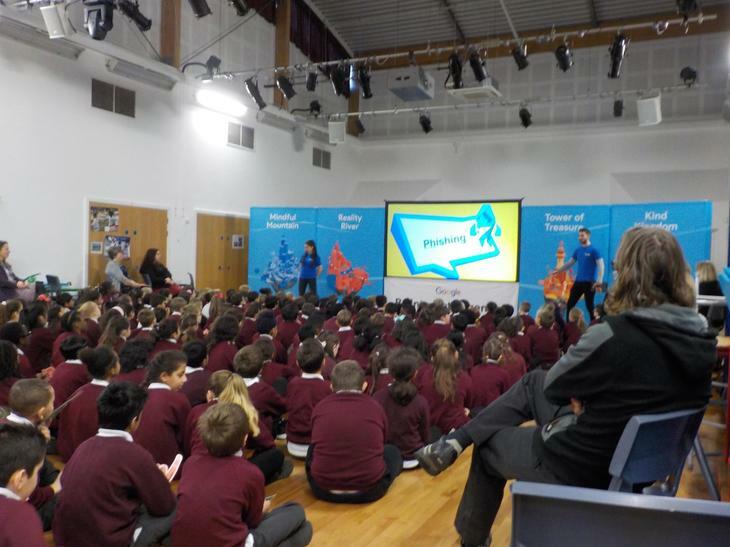 It would be worthwhile for parents and carers to ask their children about what they learned and to regularly discuss these important E-Safety messages with their children. 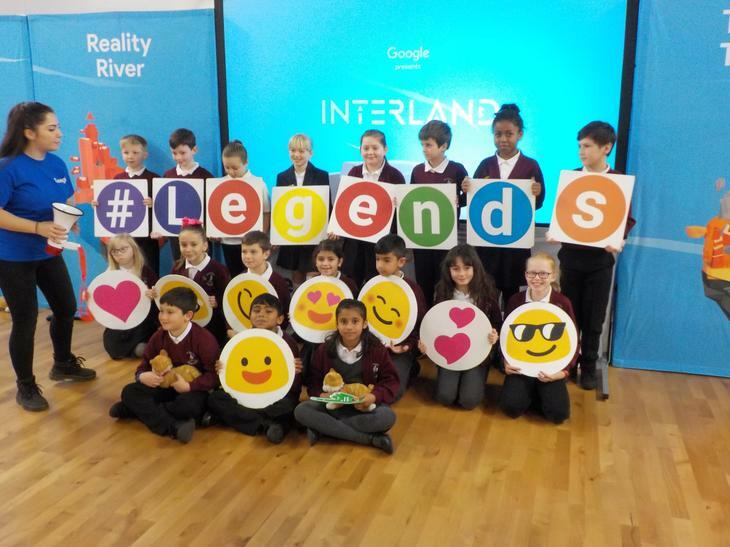 At the end of the assembly, Joseph(3G), Demi-Lea (3G), Rohat (3D), Deepak (4C), Lilly (4C), Elizabeta (4G), Frankie (4G), Ahsan (5M), Millie (5M), Andreja (5J), Natalia (5J), Charli (6M), Jake (6M), Kyla (6P), Justin (6P), Katy (6S) and Louisa (6S) had their photos taken with the 2 presenters. 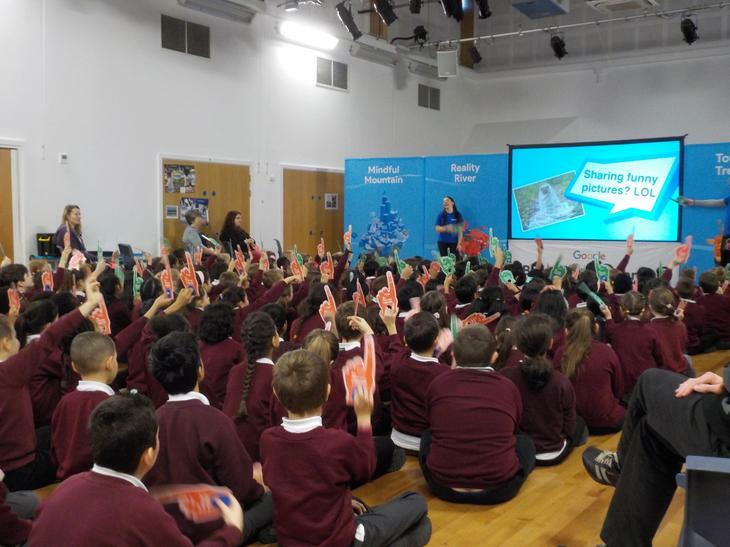 The children certainly enjoyed their morning and let's hope they also learnt some worthwhile lessons to take away with them.